The language of music transcends political, religious and cultural boundaries. It is with this spirit that Lane McCray burst onto the international music scene in the mid and late 1990s with the late diva Melanie Thornton. Having met in Frankfurt, Germany by a chance encounter, this powerhouse duo became known as La Bouche (French for “the mouth”) and conquered the dance music scene with landmark success, producing chart toping singles, peaking at number one in seven countries. In 2001, Melanie Thornton passed in plane crash while promoting her solo career. Today, the original vocalist Sir Lane McCray carries the dream on. Sir Lane McCray has been busy in the studio as well. He has already released several solo singles including European chart toppers “Pump It” and “Boom”. In May 2014, McCray recorded a tribute to Melanie Thornton titled “I’ll Give”. 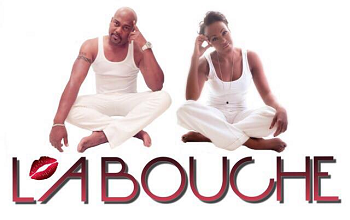 A heartfelt ballad which is truly inspiring and captivating for all La Bouche fans. His new single “Heartbeat” was released in October 2014 and continues to climb the charts worldwide.